Emergency Restoration and Clean-up for Water, Mold, Fire, and Smoke Damage. Our company installs moisture barriers and sealed crawl space systems to promote healthy indoor living conditions. We also specialize in indoor air quality issues, roof tarp-over services, and carpet, upholstery, drapery and hard surface (tile and grout) cleaning services. Rainbow International of Greater Nashville dedicates itself to providing prompt, professional, personable, highly qualified service. Our company has joined the Dri-Eaz DriZone team, which ensures our clients that we are dedicated to providing the highest customer service and using the most efficient and scientific methods of drying available. We are ASD Certified and Applied Structural Drying Certified Specialists. Rainbow International of Greater Nashville is adamant about providing detailed estimates and documentation of work performed, along with photographs of each project. Rainbow International of Greater Nashville specializes in following the IICRC S500 water damage standard, S520 mold standards, Bio aerosols and containment by the ACGIH, EPA mold guidelines for schools and commercial buildings, OSHA guidelines and the International Uniform Building Codes. Rainbow International of Greater Nashville employees are uniformed, background checked and drive Company lettered vehicles. Rainbow International of Greater Nashville carries a General and Pollution Liability Insurance. The Pollution Liability policy is specific for mold remediation- most insurance policies DO NOT cover mold remediation. We carry this insurance for mold remediation services. We also have workman's compensation on all of our employees. We guarantee quality in all our work and, most importantly, timely results. Our emergency response crews are standing by to respond to your call immediately! Call us anytime at (615) 822-0054. We serve Davidson County, Tennessee, including: Antioch, Goodlettsville, Hermitage, Madison, Old Hickory, Whites Creek, and Nashville. We serve Williamson County, Tennessee, including: Brentwood, Franklin, and Nolensville. We serve Sumner County, Tennessee, including: Gallatin and Hendersonville. Don’t let fire or flood ruin your property. Neither smoke nor water damage pose any difficulty for our remediation specialists. You need rapid structural drying and water restoration after extreme weather, appliance leakage or firefighter efforts—so contact your local cleanup experts. Mold damage and fire damage can be devastating, but not with our fire cleanup and mold remediation services. When it’s time to get professional deep cleaning for your home or commercial property, call on Rainbow International. Our wide range of services includes expert odor removal, carpet cleaning, upholstery cleaning, air duct cleaning, overspray protection and also crime or trauma scene cleanup. We are the local restoration specialists. If you’ve got an awful mess, there’s no need to worry--we can clean it! After disaster cleanup, or any residential or commercial cleanup, comes restoration to get you back on track. 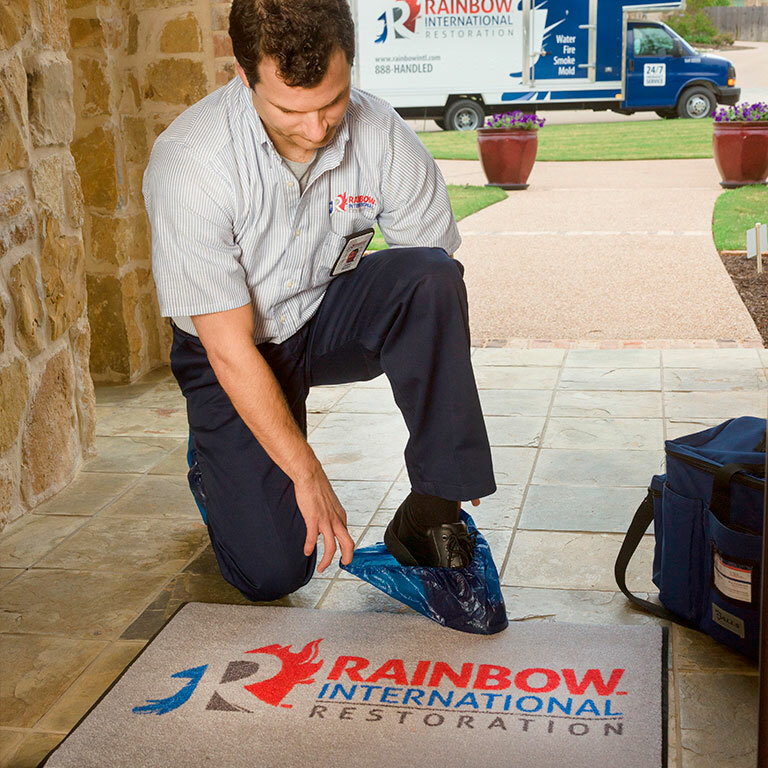 When you call upon your local Rainbow International, we offer full service reconstruction here in your area. You can count on us for expert, prompt and reliable board up and tarp over services to protect your property from further damage or theft.